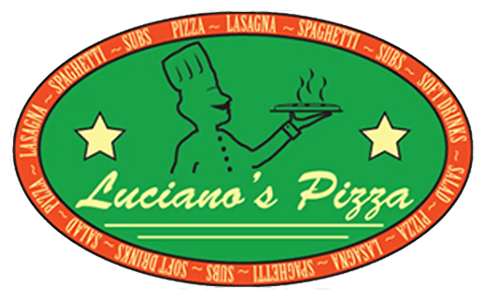 Online ordering menu for Luciano's Pizza. Welcome to Luciano's Pizza Restaurant. It all began in a small town outside Naples, Italy. Our mother Lina ran a trattoria (homemade Italian, very causal, restaurant), teaching us with her own hands the skills and commitment we would later put to use in our authentic Italian pizzas and cuisine. Over 30 years ago, our family left Naples for the United States. We settled in Pennsylvania where our dreams of opening a family restaurant in America finally came true. Our mother crafted authentic Italian specialties in the cucina while the rest of the family over saw that all operations ran smoothly under our father, Salvatore. We've learned never to settle for less than the finest and freshest ingredients. When our family eventually left Italy for America, we brought our tradition of duro lavoro (hard work), desire for excellence and most importantly – our True Italian Passion. We’ve kept alive this dedication by staying true to the family recipes that have helped define us since we opened our first restaurant in 1971. Ordering online for delivery and carry-out now!